The complete guide to all the best vineyards, wines, vineyards, wineries, winemakers and all the top producers in the Rhone Valley with complete profiles on all the top estates in Cote Rotie and Hermitage in the Northern Rhone, along with Chateauneuf du Pape and other important appellations in the Southern Rhone Valley. The Rhone Valley is a large, viticultural region that is continually gaining in popularity. In fact, it’s the second biggest appellation in France. Only Bordeaux has more vineyards. There are more than 71,000 hectares of vines planted in the Rhone Valley today. In total, there are more than 30 different AOC appellations in the Rhone Valley today. 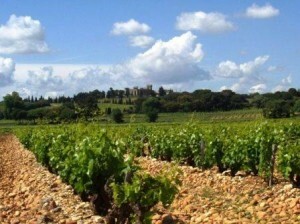 In addition, there are 27,500 hectares planted in Provence. When added all together, the annual production of wine from the Rhone Valley is more than 400 million bottles bottles of wine per year! There are now more than 23 different appellations in the Southern Rhone and there are 8 appellations in the Northern Rhone Valley.nTraveling north to south, the Northern Rhone begins about 30 kilometers below Lyon in Ampuis and ends in Valance, which is a little more than 90 kilometers south. Chateauneuf du Pape is about 90 kilometers below Valance. The Southern Rhone is a much larger area than what you find in the Northern Rhone. To illustrate that point, close to 95% of all wines in the Rhone come from the Southern Rhone! The title to the largest appellation in the Rhone Valley belongs to the Cotes du Rhone. The smallest appellation in the Rhone Valley is Chateau Grillet with just 3.7 hectares of vines. The most recent AOC’s granted appellation status took place in the Cotes du Rhone. There are 27 unique grape varieties allowed for planting in the Rhone Valley. More than 5,000 different producers, domaines and vineyards are actively involved in making wine. Red wine is king in the Rhone Valley. In the Northern Rhone, Syrah is the only red wine grape allowed. In the Southern Rhone, things get more complicated as more than 15 red wine grapes are permitted for the red wine. However, the most popular red wine grape in the Southern Rhone is Grenache. In fact, 79% of all wines produced in the Rhone Valley are red. 15% are rose’ and the remaining 6% are white wines. Combined, you could also say 94% of all Rhone Valley wines are red and 6% are white wine. For the white wines of the Rhone Valley, 12 different grape varieties are planted in the region. In the Northern Rhone, 3 white wine grapes are planted, Viognier, Marsanne and Roussanne. In the Southern Rhone, things once again are more complicated with a total of more than 15 different grape varieties being planted in the various appellations. Because of the massive size of the Rhone Valley, the wide variances in terroirs and myriad of different grape varietals planted, it could be argued that the Rhone Valley provides the widest range of wine styles and price points of any major wine growing area in the world. You won’t get an argument from me! The Rhone Valley produces more than 33,330,000 cases of wine each vintage. In case that looks like a lot of zeros, it is! That means more than 33 million cases of wine are produced in the Rhone Valley every vintage. Another way to look at this is, more than 400 million bottles of wine are produced in the Rhone Valley each year! Much of that wine is sold in France to thirsty wine lovers. After France; England, Belgium, United States of America, Canada and Germany are the biggest consumers of Rhone wine. Of the top wines, in other words, the more expensive bottles, England and the United States of America are the two biggest consumers. The world-wide demand for Rhone wine continues growing and so does the export market for these delicious, food friendly wines. The Rhone Valley has seen cultivation of its land for vineyards for more than 2,000 years. The ancient Greeks were the first people to plant vineyards in the region. This took place in 400 BC in the area of Marseilles. The ancient Romans knew how to spot the best sites for vineyard planting as well. 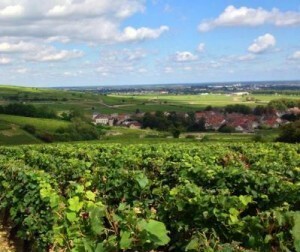 By the first century AD, they too cultivated the region, planting vines in Vienne, which is in the general area of what we now call Cote Rotie. Ancient ruins are easy to find throughout the Rhone appellation. It took almost 1,000 years before the next major change to the Rhone Valley took place. In 1309, the Pope moved the official residency to Avignon in 1309, which eventually gave the most famous wine region in the area its name, Chateauneuf du Pape. During the 1800’s, Syrah from Hermitage was sold to Bordeaux and Burgundy to help improve their wines in light years, giving the wines darker color, more structure and backbone. Like most of Europe, the attack of Phylloxera devastated vineyards all over the Rhone Valley. In fact, phylloxera was first discovered in the Rhone Valley. Lacking money to replant, much of the area fell from favor. For many growers, they were able to make more money planing apricots and cherries, than they were earn from vineyards. A few well funded producers were able to continue selling wine, but it was a long, difficult time for most growers. Things began improving by the 1960’s when a handful of producers began making great wine. By 1982 Robert Parker was becoming famous. He wrote books and continued telling wine lovers about the stunning wines coming from the Rhone Valley. The high, quotable praise from Robert Parker, and the increased quality of wine from a growing army of top producers in the region led to a renaissance for the wines popularity, quality, increased demand and spiraling, prices. Several wineries began creating single vineyard wines, as well as old vine cuvees. Destemming was growing in popularity. Vineyard owners began picking phenolically ripe fruits. Experiments with increased amounts of new French oak barrels for the aging and longer extracion periods were becoming part of the winemakers available options and choices. That, coupled with the slow, but increasingly warmer weather, due to climate change led to deeper, sweeter, richer, darker wines that continue thrilling consumers. As the 21st century continued marching on, it became obvious that 2015 in the Northern Rhone and 2016 in the Southern Rhone were the best vintages either region had ever experienced! Considering how many great, preceding vintages the region experienced, that is saying something! Cote Rotie and Hermitage are clearly the kings of the Northern Rhone in terms of quality, prestige and price, for red wines produced from Syrah. They offer style, character and the ability to age and develop. However, it is important to note that Crozes Hermitage, St. Joseph and Cornas are making better wines than ever today! As prices continue spiraling up in the most famous appellations, savvy consumers have developed more interesting in the other Northern Rhone appellations. In the south, they follow the same pattern. Chateauneuf du Pape remains the undisputed leader. But countless, high quality wines are now being produced from the Cote du Rhone, Gigondas, Lirac and other Southern Rhone appellations that deserve wine lovers attention. For white Rhone wine, the almost forgotten region of Condrieu is enjoying a resurgence in popularity! It is a great time to be enjoying the wines of the Rhone Valley! Wines from the Southern Rhone and the Northern Rhone are quite different in style and character. Southern Rhone wines are warmer, higher in alcohol, luscious, sweet, spicy and filled with herbs de Provence, kirsch and other ripe red fruits. They can be enjoyed young, and most do not really need cellaring. Southern Rhone wines can be full bodied, concentrated and even jammy, as well as elegant and refined, it just depends on the producer, the terroir and the vintage. Many Southern Rhone wines are available for consumer friendly prices and are usually easy to find in stores when young. In fact, it’s hard to argue against this fact, some of best wine values in the world today come from the Southern Rhone valley. The style and character of the wines coupled with the skill set required to produce wine from Northern Rhone Valley versus the Southern Rhone Valley are quite different. This is due in large part to the difference in grapes, climates and soil types. In the Southern Rhone Valley, most of the vineyards are on flat, or low sloping hills with rocky and sandy soils. While Grenache is the most important grape in the Southern Rhone, producers are allowed to blend up to 15 different grape varieties to make their wine. 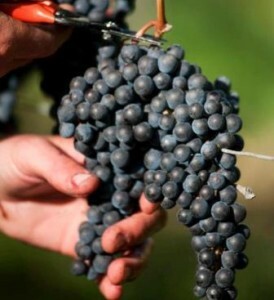 Although most growers use a majority of Grenache, Syrah and Mourvedre in their blends. The Southern Rhone is also famous for its fruit forward, early drinking, white wines and rose’. The climate is often very warm, sunny and dry. Plus, the effects of the powerful, cold, Mistral winds. In the Northern Rhone, Syrah is the only red grape allowed to be planted in the region. The terroir in the Northern Rhone are mostly, steep hillsides with granite, mica, schist, clay and limestone soils. In the Northern Rhone, the majority of vineyards are placed in within sight of the Rhone river. That is not the case in the south. The climate is much cooler in the north, than you find in the south. Wines from the Northern Rhone often need time to age, before being ready to drink. They can be elegant, exotic, highly perfumed and deliver ripe, black fruits, pepper, earth, flowers and bacon fat aromas. The wines from the north are fresher, due to naturally higher levels of acidity from the Syrah grape and cooler climate. They can be difficult to taste in their youth. In the best years, they are powerful, yet refined, with depth, concentration and complexity. Equally important, they age extremely well. Northern Rhone wines can offer some of the most compelling and complex wine tasting experiences on the planet. Due to the small amount of wine produced in the Northern Rhone, prices can be high, and the wines are often difficult to find. While the process of blending is a large part of what makes the character and style from both areas, both regions. What the winemaker needs to blend is completely different in both regions. In the Southern Rhone, the skill set is in the blending of the different grapes, that may or may not come from similar terroirs. In the Northern Rhone, the art of the blend comes from taking the same grape from very different soils and terroirs. It’s also important to keep in mind, that a large part of what differentiates the wines from the Northern Rhone and Southern Rhone is that in the north, Syrah as we mentioned is the only red wine grape allowed. Although in the northern Rhone, Syrah can be blended with a limited portion of allowed white wine grapes. In Chateauneuf du Pape and the Southern Rhone Valley, as we mentioned, Grenache is the king of the grapes, which can be blended with up to 14 other, allowable red or white wine grapes. As you can see, this page offers complete profiles on all the best Rhone Valley wine producers in the entire appellation, covering both Southern Rhone valley wines and Northern Rhone valley wines. The profiles include detailed, wine tasting notes, an analysis of the styles and characteristics of each winery, information on the vineyards, details on the wine, winemaking and histories of each estate with thousands of wine tasting notes!